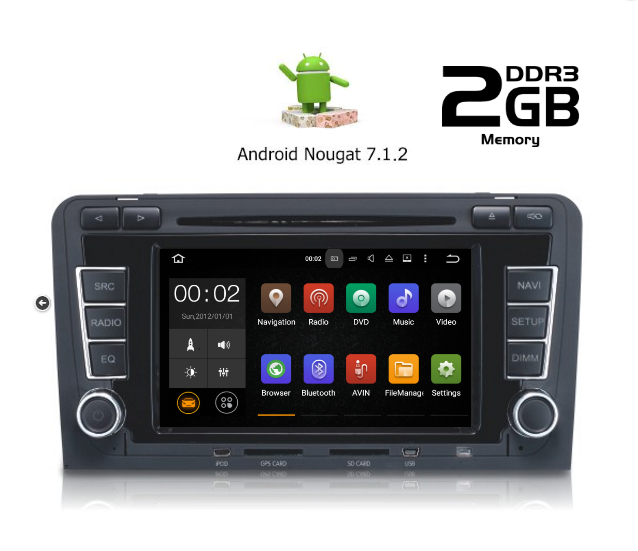 Android OEM display for Audi A3 Mod. 2003 - 2012 ideal to accompany you on your travels because of the GPS experience. You can also make hands-free calls from your cell phone Android / IOS via Bluetooth. Plays audio / video content from CDs, DVDs and USB devices. Ipod control. Connect your iPod and drive it from the screen of the receiver .You can recharge your iPod at the same time.